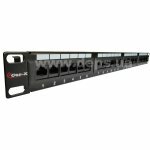 FoxGate S6224-S2S2 is a managed switch with 24-port 10/100 Mbps Ethernet, four-port Gigabit Ethernet, two of which are aligned with slots for SFP-optical transceivers. 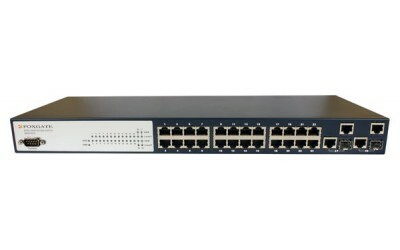 Switch FoxGate 6224-S2 has a unique networking opportunities, including: MAC address filtering, support IEEE802.1Q VLAN, QoS, ACL, IEEE802.1x, IEEE802.1d / w, Port Mirroring, SSH, which makes it the best mean for building Ethernet-networks in business complexes, corporate and municipal Ethernet-networks. High performance switch fabric and traffic prioritization with 4 priority queues for non-blocking forwarding at full speed interface, and provide quality assurance for multimedia services. 4 Copper Gigabit Ethernet ports, two of which are aligned with slots for SFP-optical transceivers. 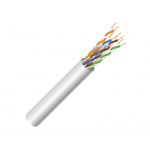 Supported protocols: STP, RSTP (802.1w) and 802.3ad for efficient and reliable operation in today's distributed Ethernet-networks. Flexible management and diagnostics. Support for SNMP v2c, Web, Telnet, local management console, port mirroring, ability to save and modify text configurations, the use of commands, similar to that used in Cisco IOS can significantly reduce the time and other resources to maintain and develop the corporate or the operator's data network . 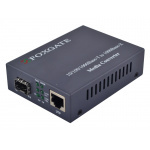 Switch FoxGate S6224-S2S2 has advanced features for working with IP multicast, such as: IGMP Snooping, L2 Querier, to support multicast VLAN and SCM (security control multicast), which ultimately makes this switch ideal tool when working c IP Multicast streams.